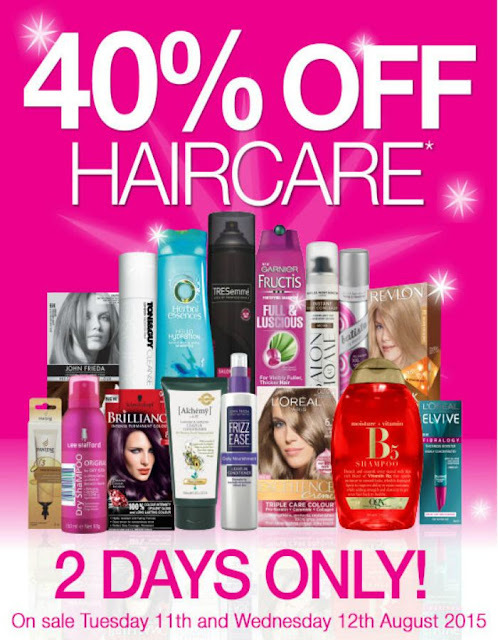 Tuesday and Wednesday is the perfect time to stock up on haircare at Priceline with haircare 40% off. Now's the time to either stock up on your everyday essentials (like dry shampoo) or to buy something new that you don't want to pay full price for. I think that salon quality haircare is really important and I like to use a shampoo, hair treatment, hair oil and conditioner from salon brands. But if I'm low on funds, I have some great quality drugstore options too. 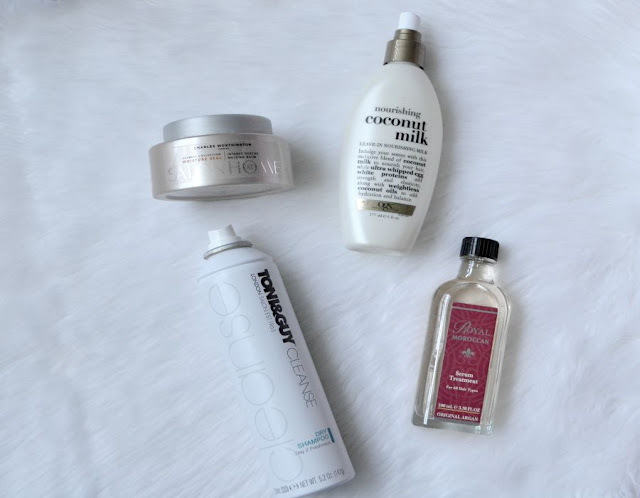 But when it comes to styling products, I love a good drugstore option. For me I pick up my heat styling protectants, dry shampoos, hairspray and salt sprays from Priceline or the supermarket. This is the beauty product that I go through the most. I try to only wash my hair once or twice a week (so I don't dull my hair colour or dry out my hair) so I use a LOT of dry shampoo. I normally go through a bottle of dry shampoo every fortnight, so I like to stock up when it's on sale. Batiste, Tresemme, Pantene, Toni & Guy and Polished London do great dry shampoos that I've purchased and repurchased many many times. I look for light formulas as I find ones that are good for volume just too heavy in my hair and it actually makes it feel even dirtier. I do prefer salon masks as I find that they're a lot more potent and really do give my hair a boost of moisture. But one mask that I've bought recently that I love is the Charles Worthington Intense Rescue Melting Balm. 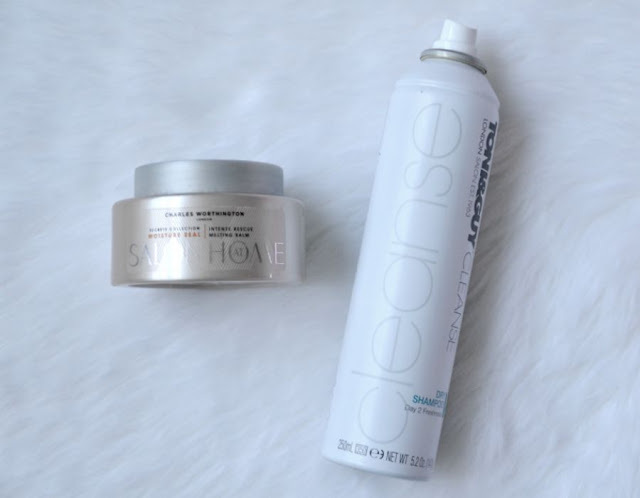 It's a pre-wash treatment that you apply onto dry hair for at least 20 minutes before you wash your hair. I was originally sent one as a PR sample but have purchased a further 2 more because I love it so much. I've put it into my hair for only 30 minutes and I've even applied it onto my hair in the afternoon and slept with it in. It leaves my hair feeling nourished and soft. So many people skip this step, but if you have dry hair a leave in conditioner will make a huge difference. I like using one to add hydration to my hair and to also help detangle my hair. 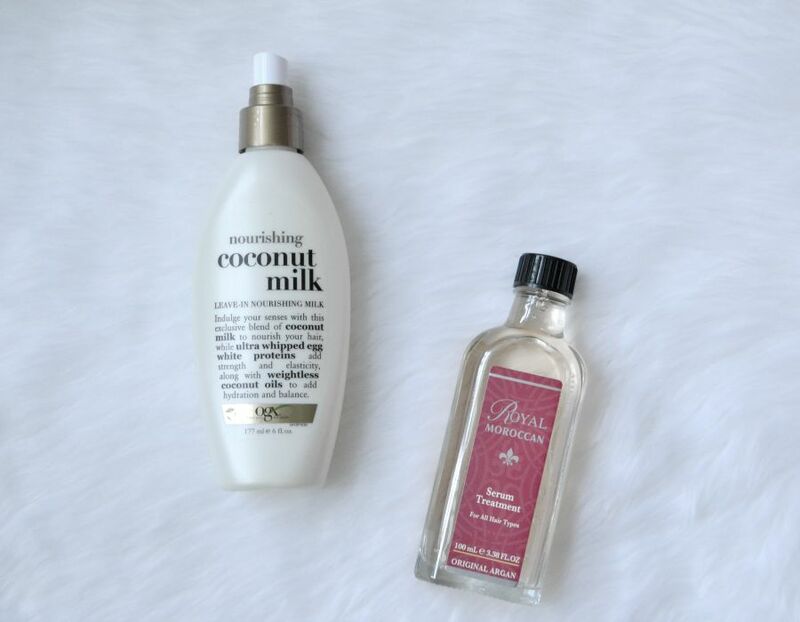 I've tried a lot but the best by far is the OGX Nourishing Coconut Milk. I use this on my daughters hair too. Hair oils are amazing multi-taskers. They're great styling products that help to give your hair shine and reduce frizz as well as being hair repairers that hydrate your hair. I love to apply a few drops to my conditioner to turn it into a hair mask on those mornings when I'm rushing. John Frieda, L'Oreal, OGX and Royal Moroccan have great hair oils. What will you be picking up from the haircare sale? Damn you Priceline!!! I think I'll just try a new dry shampoo and stock up on Elnett hairspray, love that stuff!